With the diﬃculty that Teaching Staﬀ have and poor support from the education department, teacher salaries are under severe ﬁnancial pressure. 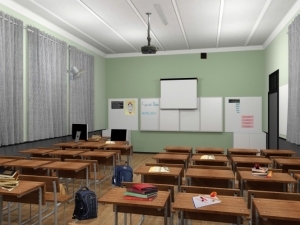 Any upgrades would be good for Staﬀ and Pupil morale and Inkazimulo – The Shining Light Trust and the Way Forward Committee MUST make a diﬀerence in this area. 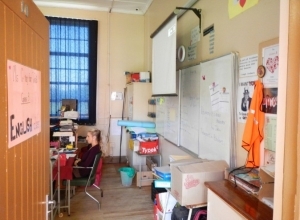 It must be many years since classrooms were upgraded and desks repaired or replaced. The wooden ﬂoors are in need of maintenance and rehabilitation. The old “Hot Water” heater system is still attached to the walls, it serves no purpose and is unsightly. Removing the unused radiators will add valuable ﬂoor space to the classrooms. Desks that may well have been in use during our time at College are in an extremely bad state of repair and need to be replaced. 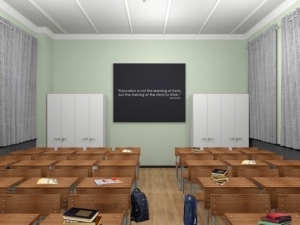 New education department requirements make it necessary to supply two “SECURE lock-up” cupboards to each classroom for the storage of exam papers for each class using the classroom. Presently there is no satisfactory facility for this. Upgrading of wooden flooring in the classrooms which always looks dusty and grey impossible to keep clean. Repair of walls now very old 1905 and removal of old hot water heating systems which have caused the plaster to be brittle and cracking. 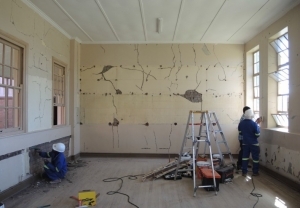 Newly repaired walls will be painted with suitable colours as recommended by an Occupational Therapist and agreed by each teacher. New Requirements: Two new specialized locked cupboards to be supplied to meet new needs. Suitable desk and chair for the teachers. As no electricity was available when the classes were first built in 1905. Subsequent addition of an electrical supply was a single wall mounted cable and plug point. In today’s digital era the single wall mounted cable and plug point are overloaded and potentially dangerous. With the need for screens to be clearly visible light proof curtains are required. We have done well by asking Class years to raise money for a classroom. Results to date show it will however be slow and for the older and younger, class years very difficult. As this is a basic need for the School and is a priority. We greatly appreciate all the Support we can get. Thank you. The Class of 1966 have done very well and the WhatsApp Potch 1966 has become a daily message of interest. It has also assisted in building their data-bases numbers and to keep in touch with each other. In a very real and informative way and reviving wonderful memories. I am sure your Class Year would enjoy a WhatsApp for their year. Steve Ross of the 1977 Class organized a golf tournament basically on his own raising over R 100 000. This promises to be an annual event.